Observation - Blue fungi - UK and Ireland. 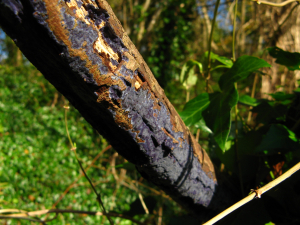 Description: Blue fungi growing on rotten wood in a woodland near a river. Blue fungi growing on rotten wood in a woodland near a river.